Do: Use a web-based, multi-user tool to manage calendar and due dates. 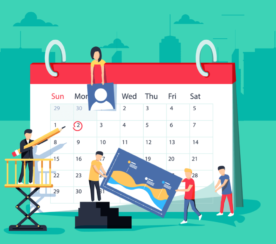 Trello, Asana, OneNote, Evernote, and Basecamp are five popular applications that allow users to create tasks, assign owners and set due dates. Don’t: Use a tool that only you have access to. Spreadsheets are great for organizing content calendars, but editorial calendar collaboration is important. If you use a spreadsheet, consider Google Docs, which allows multiple users to be in a spreadsheet at the same time. Do: Try on a few different tools before you settle on one. Every company works differently, so try a few on for size before you commit. Don’t: Use multiple editorial calendars. The more documents you have as an organization, the harder it is to have a unified vision of your organization’s content production. Do: Set benchmarks to measure the goals you set for content management. How many shares, likes, followers, subscribers, conversions, and comments spell success for your business? Don’t: Set ambitious goals that you can’t commit to. If you commit to one post per day knowing you’ll never meet that goal, you’ll deflate the team’s sense of achievement. Don’t: Shoot from the hip and not measure anything. Any C-Level person at your organization wants to see ROI, so prove content’s wonderful value. Do: Brainstorm ideas for content. Mix up the team and pull in a cross-section of people who represent various departments, demographics and interests. Even involve your outsourced content agency on the fun! Don’t: Leave the writing to only writers or “big names.” Everyone in your organization, from the C-suite to entry-level newbies, has ideas and voices that relate to some segment of your audience. Do: Hire an editor. The editor’s job is to ensure the content is crisp and clean, especially for non-writers. Don’t: Leave the editorial calendar to one person, which can result in a lack of diversity of ideas and points of view. Do: Establish a vision and communicate it to the team. Start with this: solve customers’ problems. Don’t: Forget to ask questions while in the brainstorming phase. Whom do you want to attract? What do you have that they need, and how can you engage them with your content? Do: Use market research tools like Experian Consumer Insights, Nielsen, Facebook Insights, and Google Analytics to get to the core of who your content audience is. Don’t: Assume you already know your audience. Listen to your current social audience’s comments, shares and feedback and use them to inspire story ideas. Do: Look for things you can add to your content strategy on a monthly and quarterly basis. E-newsletters, white papers, infographics, and ebooks take longer to produce, yet they have longer shelf lives. Don’t: Make an overly complicated content plan that overwhelms the team. Do: Include multiple forms of content in your editorial calendar. Think: press releases, blog posts, external articles, social media messages, video, eBooks, etc. This creates consistency and organization in your overall message. Don’t: Limit your editorial calendar to one form of content. Diversity in content forms is key. 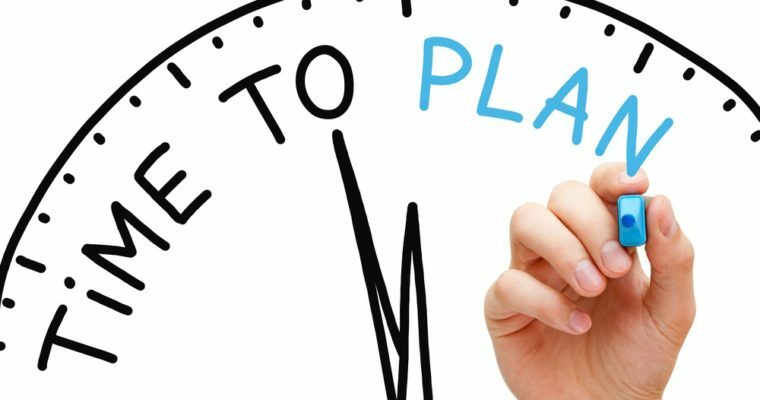 Do: Plan themes a year ahead of time. Themes can relate to holidays or a yearly event that relates to your respective industry. 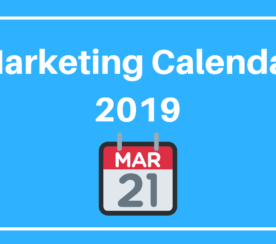 For example, at iAcquire we planned content last year around Valentine’s Day, Mother’s Day, Christmas, and New Year’s, and closer to the holidays we were able to plan campaign and content specifics. Don’t: Plan specific topics more than three months in advance; they’ll get stale. Do: Create the calendar by rotating topics, NOT by rotating authors. It’s more important to have fresh, well-written content than it is to have authors posting on a regular, assigned basis. Don’t: Assume you have to get it all right the first time. In fact, our latest content eBook at iAcquire lays out a six-week plan for building content strategy that won’t overwhelm the team or disrupt your regular business operations. Do: Before you post anything, check to see what you’ve posted about that topic in the past. Use “Site:” + keyword searches to find older posts and make sure your message is consistent. Don’t: Beat a topic to death. Instead, spread posts out over time and intersperse between different topics to keep the conversations fresh. Do: Refer to other posts within your site, “Last week we said …” and create an internal link structure within your site. Don’t: Don’t let your editorial calendar be lead by SEO. Have a content vision and supplement your editorial to meet the needs of that strategy. 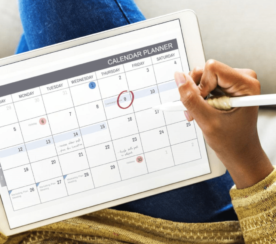 All-in-all, an editorial calendar is crucial for your brand content’s success. Remember: equal parts research, planning, executing, and promoting make for the perfect recipe for content.